Depending on what part of the country you live in, community outreach might be more difficult in the winter than it is in the summer. But seeing as we’re right in the middle of July, most of the nation’s police officers are enjoying the weather. They’re also using it to their advantage, as far as officer visibility and improving community relations. 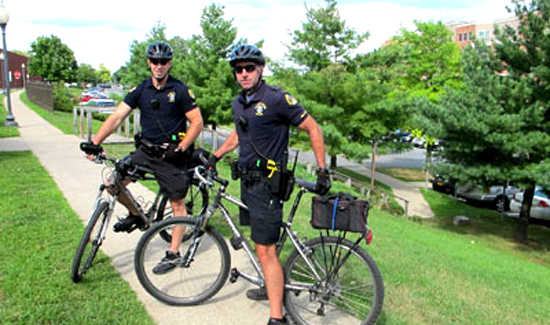 In Harrisburg, Pennsylvania, cops are out on bikes in force in an attempt to connect with the community during a particularly rough patch, as far as relations between police and civilians. “One of the ways you combat that (tension) is having officers get to know the people,” Sgt. Gabriel Olivera of the Harrisburg Police Bureau says. “The bikes are one of the ways they actually get to know them. Officer Matt Novchich has been on bike patrol for over a year and says the response from residents, especially those in Harrisburg’s Allison Hill neighborhood, has been positive. Many agencies are taking advantage of authorized expenditures that come with environmental requirements to use less fuel and so forth. Bikes are one item that agencies can usually find financial aid to procure. VIDEO: You Guys are Awesome!